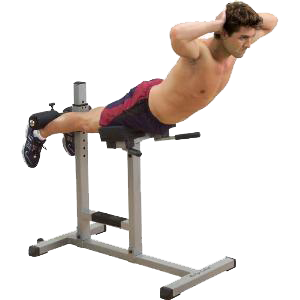 Fitness professionals worldwide recognize the Roman Chair/ Back Hyperextension for its unsurpassed development of the abdominal, oblique, lower back, glute, and hamstrings. Thick, double-stitched DuraFirm”! pads and oversize 8″ foam rollers provide comfort and support.